It’s that time again. Time for ABC Family’s 17th Annual “13 Nights of Halloween.” It’s a great opportunity to get into the spooky spirit as the clock winds down to Halloween on Oct. 31. The event will also include the ABC Family premiere of Johnny Depp in “Sleepy Hollow,” the network premiere of “Disney Pixar’s Monsters University,” and a delightfully scary mix of Halloween-themed programming airing for the 13 nights leading up to Halloween. Yes, I realize not all of these shows are exactly family-friendly, so use your best judgment when you decide to watch with your kids. Like for example, you should probably skip “Poltergeist” if you’ve got kids in the house. Fortunately, they’ve scheduled some of the scarier titles for later in the night. Here’s the lineup. What shows or movies are you most looking forward to? Tell us in the comments below. 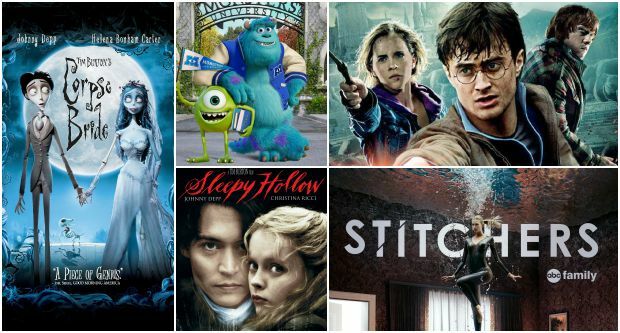 The 17th annual 13 NIGHTS OF HALLOWEEN kicks off with back-to-back airings of the final Harry Potter films, “Harry Potter and the Deathly Hallows: Part 1” (1:30 – 5:00 PM ET/PT) and “Harry Potter and the Deathly Hallows: Part 2” (5:00 – 8:00 PM ET/PT). Then everyone’s favorite Halloween sisters from “Hocus Pocus” (9:00 – 11:00 PM ET/PT) deliver the scares. “Tim Burton’s Corpse Bride”(12:00 – 2:00 AM ET/PT) rounds out the evening with an invitation to the creepiest wedding ever! 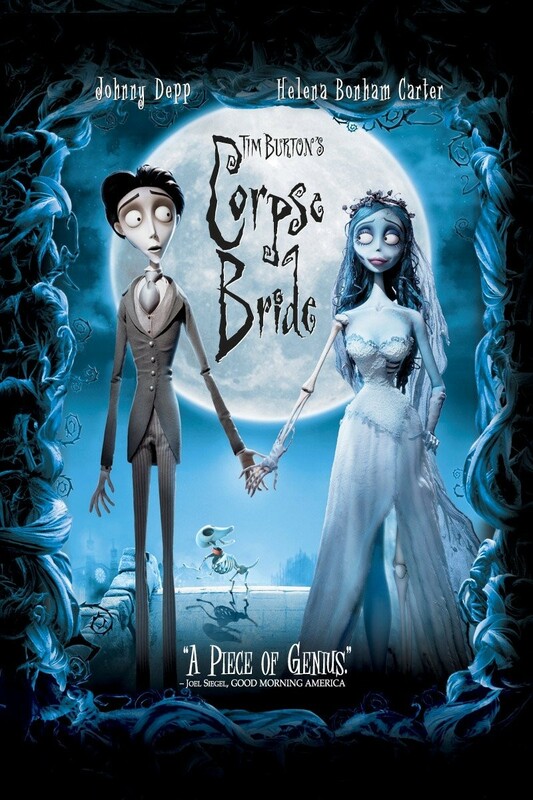 “Tim Burton’s Corpse Bride” (4:00 – 6:00 PM ET/PT) is back for another walk down the aisle, followed by beloved Halloween classic “Hocus Pocus” (6:00 – 8:00 PM ET/PT). Then tune in to aspecial Halloween episode of “Stitchers” where Camille preps for her annual Halloween bash, as the Stitchers team investigates the suicide of a young man (guest star Jeremy Sumpter, “Friday Night Lights”), who is suspected of abducting a missing college student (9:00 – 10:00 PM ET/PT), with an encore airing immediately following. Spend your late night with the friendly ghost “Casper”(12:00 – 2:00 AM ET/PT). Kick off the night with the friendly ghost “Casper” (5:00 – 7:00 PM ET/PT), then spend your Wednesday with “The Addams Family” (7:00 – 9:00 PM ET/PT) and “Addams Family Values” (9:00 – 11:00 PM ET/PT). Stay up late for extra chills with “I Know What You Did Last Summer” (12:00 – 2:00 AM ET/PT) where someone is watching, and they know your secret! Spend some more time with the kookiest family around, “The Addams Family” (4:00 – 6:00 PM ET/PT) and “Addams Family Values” (6:00 – 8:00 PM ET/PT), then volunteer as Tribute with “The Hunger Games” (8:00 – 11:00 PM ET/PT). You’re in for another terrifying late night “I Still Know What You Did Last Summer” (12:00 – 2:00 AM ET/PT). May the odds ever be in your favor with another airing of “The Hunger Games” (5:30 – 8:30 PM ET/PT). Johnny Depp is Ichabod Crane in the ABC Family premiere of “Sleepy Hollow” (8:30 – 11:00 PM ET/PT). Finish your night with a visit with the most charming and magical girl, “Matilda” (12:00 – 2:00 AM ET/PT). The day of Halloween hijinks kicks off with the story of a magical little girl who uses her extraordinary gifts to change her unhappy life in Matilda (7:00 – 9:00 AM ET/PT). Then spend some time with“ParaNorman” (9:00 – 11:00 AM ET/PT) and his dearly departed friends. It’s back-to-back Tim Burton thrills with “Tim Burton’s Corpse Bride” (11:00 AM – 1:00 PM ET/PT), followed by “Tim Burton’s The Nightmare Before Christmas” (1:00 – 2:30 PM ET/PT), doubling your frights. Then “Casper”(2:30 – 4:30 PM ET/PT) the friendly ghost drops by. Spend some time with Gomez, Morticia, and the rest of the “The Addams Family” (4:30 – 6:30 PM ET/PT) and learn some “Addams Family Values” (6:30 – 8:30 PM ET/PT). Enroll with Mike and Sulley in the ABC Family premiere of “Disney Pixar’s Monsters University,” (8:30 – 11:00 PM ET/PT) and stay to watch Buzz, Woody and all your favorite toys work together to track down their missing friend in “Disney Pixar’s Toy Story OF TERROR!”(11:00 – 11:30 PM ET/PT). Cap off your day of thrills with the Sanderson sisters and practice some “Hocus Pocus” (11:30 PM – 1:30 AM ET/PT). Start the day with a ghostly visit with “ParaNorman” (7:00 – 9:00 AM ET/PT), then you’re invited to the creepiest wedding of the year with “Tim Burton’s Corpse Bride” (9:00 – 11:00 AM ET/PT). Take a trip to Halloween Town to visit Jack Skellington in “Tim Burton’s The Nightmare Before Christmas”(11:00 AM – 12:30 PM ET/PT). Spend some more time with “Casper” (12:30 – 2:30 PM ET/PT) and“The Addams Family” (2:30 – 4:30 PM ET/PT), followed by “Addams Family Values” (4:30 – 6:30 PM ET/PT). Take a ride on “Disney Pixar’s Toy Story OF TERROR!” (6:30 – 7:00 PM ET/PT) if you dare! And then go back to school at “Disney Pixar’s Monsters University,” (7:00 – 9:45 PM ET/PT). Then spend another witchy late night practicing “Hocus Pocus” (9:45 PM – 12:00 AM ET/PT). Try to outrun the Headless Horseman terrorizing the town of “Sleepy Hollow” (5:30 – 8:00 PM ET/PT). Then join Buzz and Woody on “Disney Pixar’s Toy Story OF TERROR!” (9:00 – 9:30 PM ET/PT), followed by “Tim Burton’s The Nightmare Before Christmas” (9:30 – 11:00 PM ET/PT). Stay up late to see the undead Sparky of “Tim Burton’s Frankenweenie” (12:00 – 2:00 AM ET/PT). Dr. Frankenstein and his dog are back in “Tim Burton’s Frankenweenie” (4:00 –6:00 PM ET/PT). Have another haunting holiday with “Tim Burton’s The Nightmare Before Christmas” (6:00 – 7:30 PM ET/PT). Woody and Buzz are back with more scares in “Disney Pixar’s Toy Story OF TERROR!”(7:30 – 8:00 PM). Don’t drink these witches’ brew as the Sanderson sisters wreak havoc in “Hocus Pocus” (9:00– 11:00 PM ET/PT). Then keep the late night spooks going with “ParaNorman” (12:00 – 2:00 AM ET/PT). Kick off the night with “ParaNorman” (4:00 – 6:00 PM ET/PT), and continue on with the baddest witches in town in “Hocus Pocus” (6:00 – 8:15 PM ET/PT). Then Barnabas Collins returns from the dead in “Dark Shadows” (8:15 – 11:00 PM ET/PT). And you won’t be afraid to stay up late to see “Casper”(12:00 – 2:00 AM ET/PT). The night kicks off with a bonus airing of “Casper” (5:00 – 7:00 PM ET/PT). Then spend time some with Uncle Fester and Cousin It in “The Addams Family” (7:00 – 9:00 PM ET/PT) and “Addams Family Values” (9:00 – 11:00 PM ET/PT). Have a late night with “Hocus Pocus” (12:00 – 2:00 AM ET/PT). It’s your last chance to see “The Addams Family” (2:30 – 4:30 PM ET/PT) and brush up on “Addams Family Values” (4:30 – 6:30 PM ET/PT). Watch out for those witchy sisters in “Hocus Pocus” (6:30 – 8:30 PM ET/PT). They’re heeeeeeeeeeere! “Poltergeist” (8:30 – 11:00 PM ET/PT) and “Poltergeist II: The Other Side” (12:00 – 2:00 AM ET/PT) will keep you up with spine tingling scares. All Hallows Eve is upon us and promises to bring with it a day full of ghosts, witches, and Batman. The day kicks off with the Joker vs “Batman” (7:00 – 10:00 AM ET/PT), followed by a bat, a cat, and a penguin in “Batman Returns” (10:00 AM – 12:30 PM). The otherworldly battles between the Freeling family and some truly wicked spirits in “Poltergeist” (12:30 – 3:00 PM ET/PT) is sure to keep your Halloween scary. Then lookout for the Headless Horseman in “Sleepy Hollow” (3:00 – 5:30 PM ET/PT). You should always visit Halloween Town on Halloween in “Tim Burton’s The Nightmare Before Christmas” (5:30 – 7:00 PM ET/PT). Spend your evening with back-to-back airings of “Hocus Pocus”(7:00 – 9:15 PM ET/PT), with an encore airing immediately after (9:15 – 11:30 PM ET/PT). Then wrap up 13 Nights of chills with an encore of “Sleepy Hollow” (11:30 PM – 2:00 AM ET/PT).